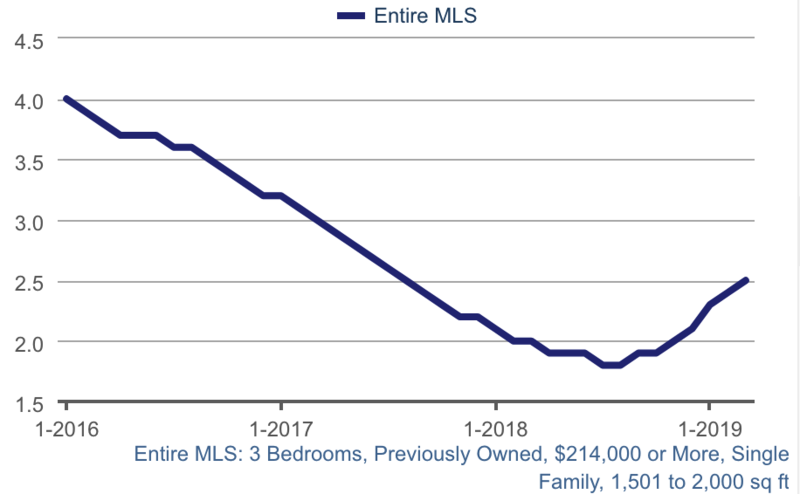 The first quarter of 2019 is over so it is time for an update on the Las Vegas market from an investors point of view. 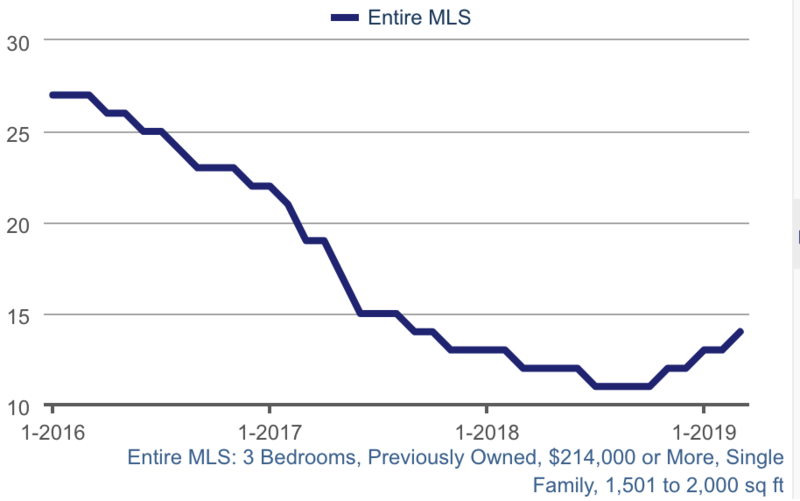 Note that the following data comes from the Las Vegas MLS and is only for properties that conform to our tenant pool. Median $/SqFt for Single Family Homes - The $/SqFt continues to rise. We expect the rate to increase towards the end of the year, likely driven by Californians looking for a more cost effective place to live. Already 30% of all sales today are to Californians. Also, we are still 20% below the peak prices of 2006. If you take inflation into account we are about 35% below peak 2006 prices. Months of Supply - The months supply of properties has risen since late 2018, but still below 3 months where 6 months is considered a balanced market. The effect of the increased supply is that we are seeing increasing ROI and facing less competition from buyers. Median Days on Market - The median days on market has risen from 12 to about 14 days. Not a significant change. There is still high demand for the type, configuration and price range we target. 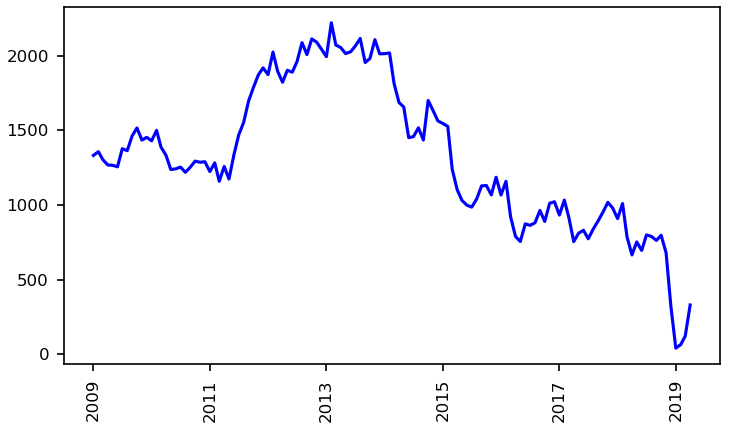 Available Conforming Rental Units by Month - There has been steady decline in available rental units over time. This is what is driving up rents (6.6% average increase in 2018) in the property profile we target. In summary, the real estate market is very strong. Demand for rental properties is outpacing supply resulting in rising rents. We expect demand to increase during the rest of 2019. Nevada ranks #1 in the US for population growth. This shows which states people are moving from. This shows that the jobs being created are not low end jobs. They pay well and the wages are increasing with the current jobs. 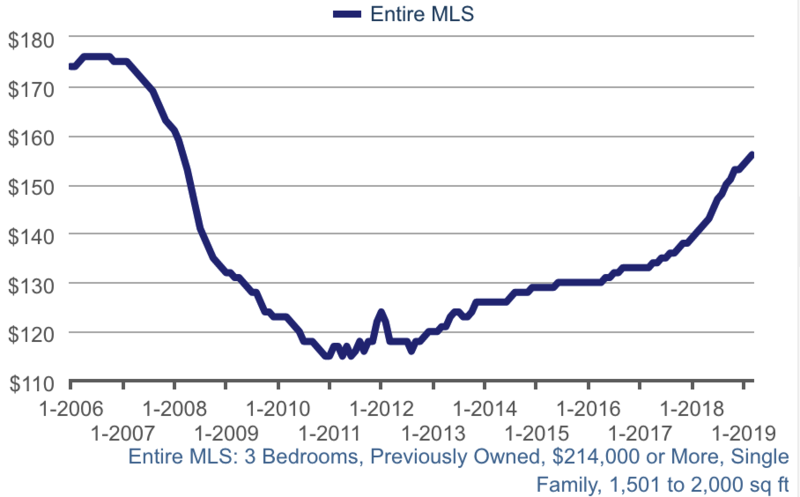 New Home Median Closing Price The median new home price is $410,000 which is well above the sweet spot for renters. The price of new homes is largely driven by the high cost of land, which is in short supply. Resales will still be the pool for investment properties and will not be diluted by new homes. There are many other projects underway but the above are the largest we know of. Any one of the above projects would be huge for a 2.2M population city. These projects will create a large number of additional well paying jobs which will attract even more people to Las Vegas. Not many people realize that Las Vegas is an island surrounded by federal land. Approximately 84% of all land in Nevada and 87% of Clark County (in which Las Vegas is located) is owned by the federal government. See the map below for what has happened between 1984 and 2016. Note that 2017 and 2018 were huge growth years for Las Vegas so even less land is available now. Class A properties will stay class A in the future. Due to the lack of expansion room, increased demand created by people and companies migrating to Las Vegas will almost guarantee price and rent increases. The current market is strong and we expect it to get stronger as 2019 progresses. A significant number of Californians are already moving to Las Vegas and the 2018 Tax Act will drive more people to look for a more affordable place to live. The lack of room for expansion almost guarantees prices will continue to rise as more and more people bid for the limited number of available properties. Las Vegas remains an outstanding investment location for the foreseeable future.